This is No. 3 in a series of colorful birds throughout Europe and US – always in combination with a piece of nature and an elaborate frame. 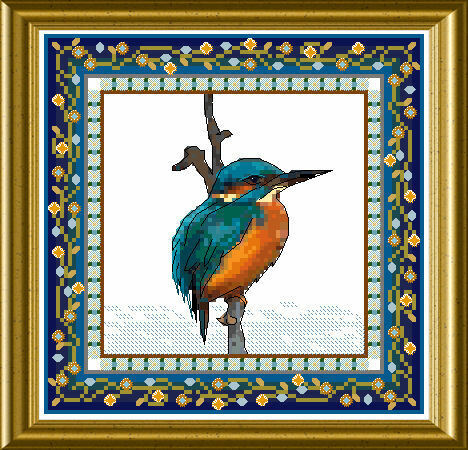 Here you stitch a beautiful and brightly beaming Kingsfisher.